Thomas J. 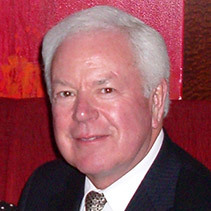 Snow Founder, Chairman & CEO The SearchAmerica Group, Inc. and SearchAmericas, Inc. The National Account Manager that we hired through SearchAmericas proved to be a perfect fit for our company and he grew our business 33% in the first year on the job. The team at SearchAmericas really hit the mark. SearchAmericas candidate more than offset the cost of the hire. SearchAmericas successfully ‘vetted’ my background, accomplishments and most importantly my fit into the culture and climate for a subsidiary of a Fortune 100 company. SearchAmericas ‘thorough total process’ provided a positive framework for the company and myself to achieve a successful transition. SearchAmericas delivered a number of candidates to us for our Vice President of Sales position. The individual we hired not only brought in a new dynamic and approach to our business, but was able to bring in new business as a result of his knowledge and relationships in the industry. This was a very quantifiable investment for long term growth and success of our company. We could have hired anyone of the final three candidates! SearchAmericas placed me into a perfect fit culture for my background and my personality. They really cared about the relationship. I could not have asked for anything more professional. PEOPLE are the most important asset to every company! TIMELY DELIVERY is an essential element in every corporation’s success! FOLLOW-UP is a key ingredient to every corporate transaction! SearchAmericas has been delivering excellent product in a timely manner with “HIGHER THAN EXPECTED RESULTS”. Our primary goal is to ensure that the employee fits the culture of the organization, has the skills to produce long term results and is promotable. Our seasoned recruiters have spent over 150 years combined in Corporate America in Executive Recruiting, Human Resources and/or Executive Management and fully understand the entire hiring process. Our Team is relationship-focused and work in unison to achieve common goals thereby satisfying the customers’ needs. Our 60,000+ CANDIDATE DRIVEN INDUSTRY FOCUSED DATABASE developed over these 27 years is second to none. We recruit the best candidates in a timely manner driving quantifiable results into your organization. RECRUITING GAME CHANGING TALENT IS WHAT WE’RE ALL ABOUT! HIRE SEARCHAMERICAS FOR YOUR NEXT PEOPLE PROJECT! and are committed to understanding your business by providing performance laden culturally fit talent to produce higher than expected results in a timely fashion.